The SIU men's basketball team not only had a successful season on the court with 20 wins, it also got the job done in the classroom. The Salukis were among a small number of Division I programs to earn the Team Academic Excellence Award from the National Association of Basketball Coaches. The award is given to programs with a team GPA of 3.0 or greater during the 2017-18 academic year. SIU guard Marcus Bartley carried a perfect 4.0 GPA and was an Academic All-American in 2018. 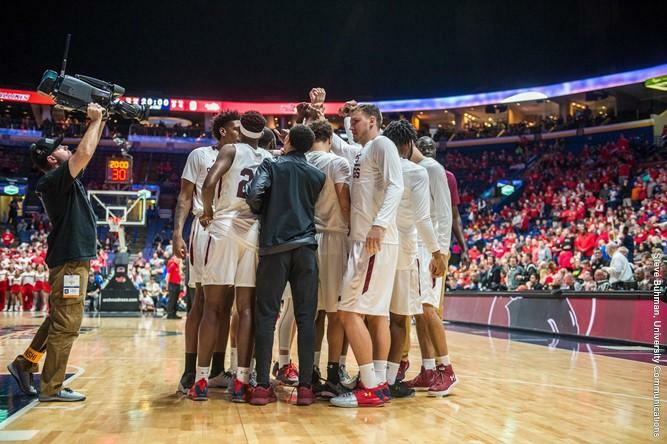 According to the Missouri Valley Conference, under head coach Barry Hinson, SIU has a 90 percent graduation rate for players who have exhausted eligibility at SIU, and six former players have returned to campus to finish their degrees. Overall, the NABC recognized 186 programs from all NCAA divisions as well as NAIA and NJCAA.